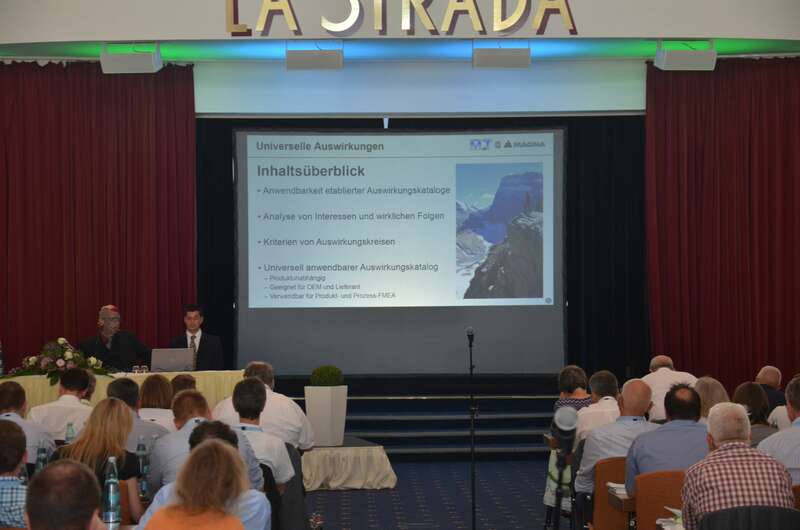 This year, APIS held its 24th annual User Meeting at Hotel La Strada in Kassel and its first ever International User Meeting with translators on location. We welcomed almost 240 IQ Software users, of whom around 10% were non-German speakers. The following is a rundown of the event. As with every APIS User Meeting, guests arrived to the traditional “Get together” that takes place before the presentations begin. This is a chance for everyone to settle in, get to know each other and discuss all matter of topics. Jürgen Eilers, Managing Director kicked off the first day of presentations with the traditional “Rückblick & Ausblick” (Past and future), whereby he covers the most important aspects of the last year while also taking a look at what new developments are coming in the next. This year it was his pleasure to also announce that it was the first ever International User Meeting and headphones were available for those non-native speakers for German presentations as well as for non-English speakers for the English presentations. This opening was then followed by a number of interesting and informative presentations held by several of our valued users. As part of every User Meeting, the organizers arrange an event for all to take part in after the first day of presentations are concluded, the event is always new and unknown to the guests until that day. This year, the bus took them to Glashaus (an event location “Glass house”) in Kassel, where the hall was kitted out for a table football tournament for all users to take part in. To finish many enjoyed some local specialties on offer as well as winding down the evening together with a drink or two carrying on discussions from the day. A selection of photos taken during the event can be seen here: Picture gallery. At the end of the event, many requests from the users were discussed and noted. The feedback we get from our customers is invaluable to developing our software further. Our colleagues in support were, as always, very busy over the two days, taking time to give advice and help with user queries. We would like to warmly thank the speakers and participants and we look forward to next year’s User Meeting which will be held in Magdeburg.